Natural Hazards | Volcanic tourism, in between fascination and hazard awareness. Episode 1: the volcanologist prospective. EGU Blogs » Divisions » Natural Hazards » Volcanic tourism, in between fascination and hazard awareness. Episode 1: the volcanologist prospective. Volcanic tourism, in between fascination and hazard awareness. Episode 1: the volcanologist prospective. 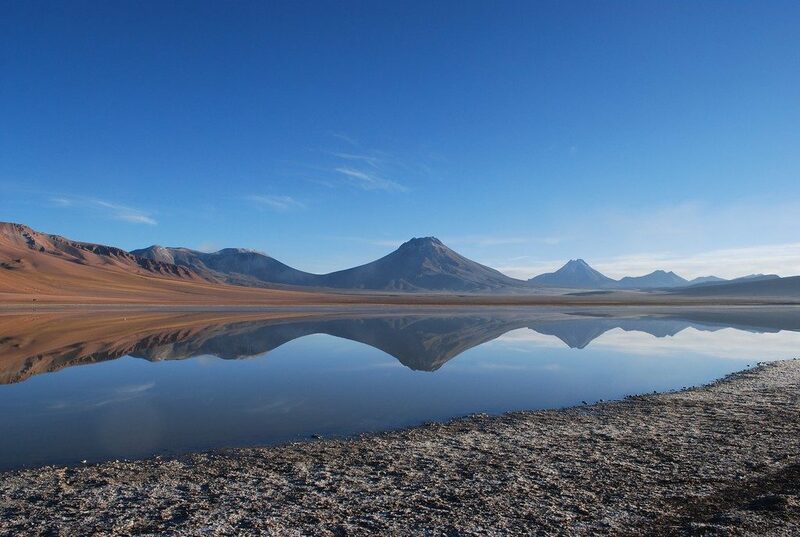 Volcanoes are often located in stunning and fascinating places of the world. Some volcanoes are in areas already heavily populated, like Popocatépetl in Mexico or that thanks to tourism become highly or more populated during certain times of the year, like Agung in Indonesia. In addition to the charm, volcanoes can be and have been harmful to both lives and properties. The hazards posed by volcanoes erupting are various and can affect areas both in the vicinity and far away from the eruption. Common hazards are, for example, lava flows, pyroclastic density currents, ash fall, ejection of ballistic, lahars, volcanic gases as well as structural collapses causing landslides, and eventually, tsunamis if close to the sea or a lake. There will be some indications, some precursors, that a volcano is going to erupt. However, the time between these signs and the eruptive event is highly variable and can range from days to months. Sometimes an eruption can happen without a clear warning and be fatal, like the Mt. Ontake eruption in Japan in 2014. Preparedness is thus crucial: be aware of where you are, the possible hazards and how to prevent or minimize losses and accidents. Scientists from all over the world have been more and more working closely with the communities at risks from volcanic activity. Advancements in volcano monitoring help better understand the phenomena. And educational programs and emergency simulations are commonly put in place. However, how are tourists taken into account in hazard mitigation plans? How aware are tourists of the natural hazards they may encounter? Are visitor centres providing enough information? What about tour operators? To try and answers some of these questions we interviewed a scientist working on volcanic hazard and issues related to tourism. In today post, we welcome Bradley Scott from GNS Science, New Zealand. Hi Brad, could you tell us what do you do at GNS Science? And also briefly describe what is GNS Science? Hi, I am a volcanologist at the GNS Science, a New Zealand based Govt. research organisation that has a focus on earth science. I work in the volcanology department, which is part of the Natural Hazards Division. 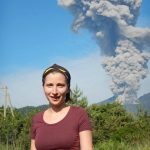 As a volcanologist, I am involved in the daily volcano monitoring, as a duty officer and as a science communicator about volcanoes and volcano hazards. You can watch an example clicking here. Let’s start with a bit of general background for our readers. How is volcanic hazard on active volcanic fields approached by researchers? What is the role of science in volcanic hazard mitigation? My role is more related to communications about the hazards, so I take the research results and use that to inform landowners, tour operators, Civil Defence and others who may have to respond to a volcano problem. The researchers visit a volcano after an eruption and study the impact of the volcanic activity. They work out to say how far did the volcano toss rocks or a flow travel. From data like that, we can work out where is safe, well safer for a tourist to visit. What are the activities, tools that are used to communicate with the population about volcanic hazard mitigation? And during an actual crisis? The major tool we use in New Zealand is the Volcanic Alert Level (VAL). This is a scale from 0 to 5 and it gives an indication of the state of the Volcano. This is supported by Volcano Alert Bulletins (VAB’s) that tell everything about what the volcano is up to. We also use our web pages where one can see hazard maps, information and news stories, and we talk to the media. (Eds. similar informative web pages, alert levels and bulletins are redacted from all volcano observatories around the world). If the local population may be more aware of the hazards they may encounter in their area, what about tourists? How are tourists taken into account in the mitigation plans? We work with the tour operators to keep them informed about the volcanic activity and the local Civil Defence or landowner. We ask them to share the Volcanic Alert Level and informative web pages with the tourists. We want the tour operator to inform the tourist of the hazards. Are there any specific actions taken by researchers or local authorities to include and inform the possible tourists in the areas at risk? What are the difficulties? Yes, we as the ‘volcano observatory’ put out the Volcano Alert Bulletins, these are then passed on by Civil Defence, tour operators etc. If you have our smartphone App you can even get them on your phone. Last fall, Agung volcano in Indonesia gave an example of how difficult it can be to predict precisely when an eruption will occur. The volcano was giving signs of awakening, the researchers knew and together with the local authorities raised the alert level and prepared the population. However, it took about three months for the volcano to actually erupt. And media coverage, together with the information on the status of the volcano, addressed the issue of the costs, the economic losses due to the decrease of tourists during this time. What are the difficulties scientists encounter when issuing an alert in highly touristic areas? You have basically answered it in the question, the key issue is uncertainty. We can recognise the volcano is waking up and then comes the challenge. Society wants to know that an eruption will occur about 2 o’clock on Tuesday and all we can say is ‘it is more likely this week than last week or month’. Finally, what would your recommendations be to people who want to go visit an active volcano? Read as much as possible, look for the Volcano Bulletins in the specific area you are visiting, hazards maps, see what the volcano observatory is saying. Understand the hazards and be as safe as you can.